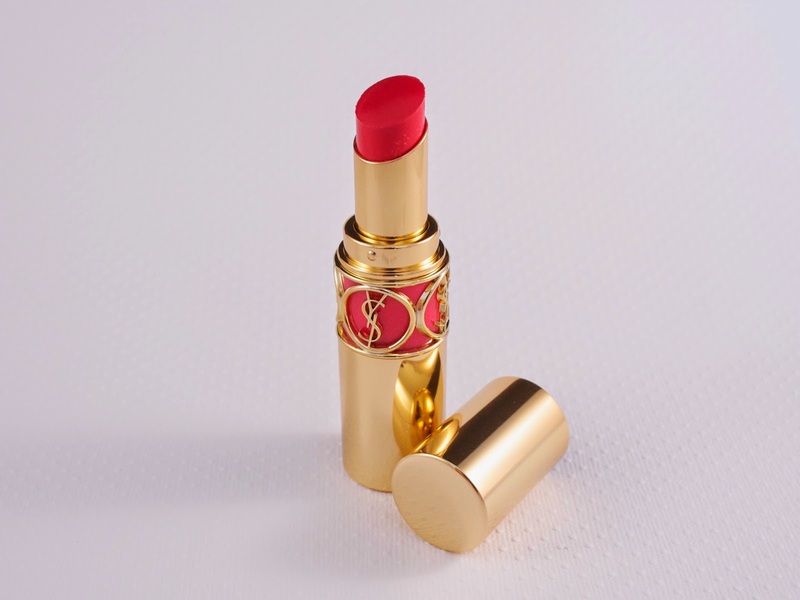 A lot of smack gets talked about the YSL Rouge Volupté line with many preferring its shinier cousins, the Rouge Volupté Shines, or the now ubiquitous Glossy Stains. I myself had never given the Rouge Voluptés a chance until I was lured in by the shade 34 Rose Asarine. Rose Asarine was released as part of YSL's Spring 2014 Flower Crush collection, but it appears to be a permanent addition. The shade looks like it a warm rose with a hint of coral in the bullet, but on my lips it ends up being a neutral or slightly cool rose color (my lips do make just about everything cool, so just bear that in mind!) I love that it is a true rose, and doesn't end up too fuchsia or magenta. The shade is really timeless and I think it would be universally flattering across all skin tones. 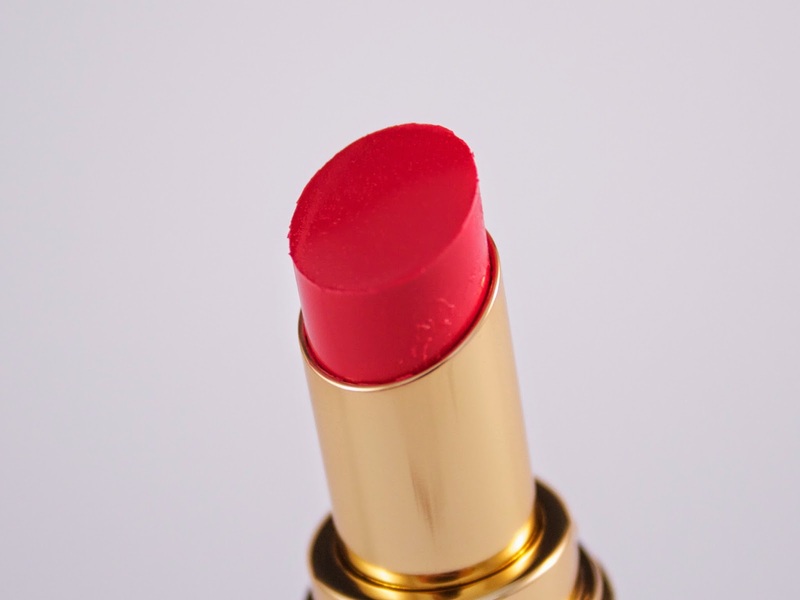 It is also super pigmented and creamy--an absolute dream to apply! In the photo below I didn't wear a lip liner with Rose Asarine, but many people criticize the Rouge Volupté formula for being too creamy or slippery on the lips. If you are worried about feathering, go ahead and slap a lip liner on, but for me it wasn't an absolute necessity. Rose Asarine didn't seem to add any moisture to my lips, but I didn't notice that it dried them out, either. Like most YSL products, this bad boy does have a scent, but I did not find it particularly noticeable. The wear time on this was an impressive 5-6 hours. It did lose its glossy/wet finish after about 3 hours, but it left a gorgeous stain. I really love this shade and given that I am partial to the luxe YSL packaging, I've worn this quite often since I picked it up. I had a minor panic attack when I thought I had lost it for about five days. 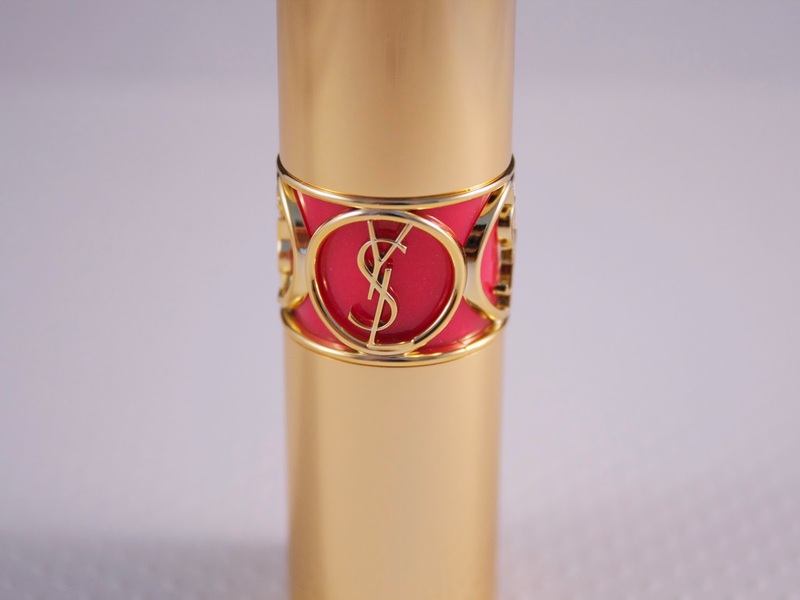 Luckily, it was just hiding in one of my bags and has rejoined its YSL brothers and sisters in my lipstick rack. 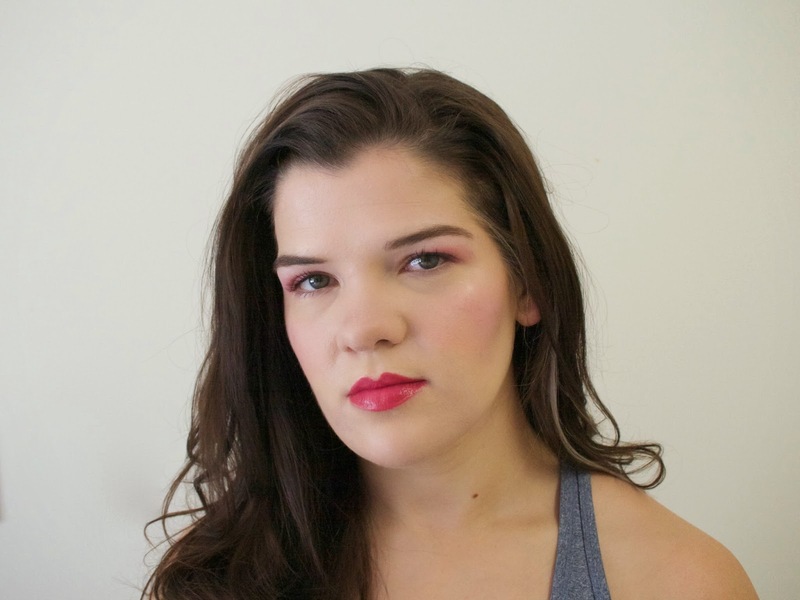 If you are on the hunt for a wearable mid-tone rose shade, check out Rose Asarine. I think you might be pleasantly surprised! Available at Nordstrom for $35.